If MOOCs were the glamorous side of open education, all breathless headlines and predictions, open textbooks were the practical, even dowdy, application. An extension of the OER movement, and particularly pertinent in the United States and Canada, open textbooks provided openly licensed versions of bespoke written textbooks, free for the digital version. The cost of textbooks provided an initial motivation for adoption, but it is the potential of adaption that makes them interesting. 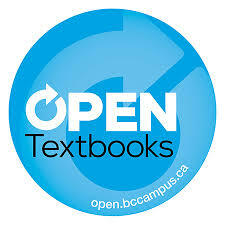 Open textbooks are sometimes criticised for being an unimaginative application of the possibilities of open. But they also offer a clear example of several aspects which need to align for ed tech adoption in higher ed. Firstly, they set out to establish a solid evidence base. They did not just rely on altruism, and statements of belief. The Open Ed group in particular demonstrated that open textbooks were of high quality, and had a positive impact on students. This evidence base makes it difficult for them to be dismissed by commercial interests. Secondly, through funding from the likes of Hewlett, some professional, long term providers were established who could produce reliable quality. These books looked as good as anything that you bought, they weren’t some quirky DIY effort. Thirdly, the switching of costs from purchase to production established a viable economic model that is applicable for other open approaches. They could not be dismissed as unsustainable. These three elements lay the foundation for their adoption and overcome many of the reservations or objections raised. Now the challenge is from this base to start doing the really interesting stuff. As with LMSs, open textbooks offer an easy route to adoption. Exploration around open pedagogy, co-creation with students, and diversification of the curriculum all point to a potentially rich, open, edtech ecosystem—with open textbooks at the centre. However, the possible drawback is that like LMSs, open textbooks may not become a stepping-stone on the way to a more innovative, varied teaching approach but, rather, may become an end point in themselves. What I like about open textbooks is they don’t seek to remove the human element from education. Make education more affordable, flexible, accessible but still essentially human. Maybe that’s why they don’t attract the attention of venture capitalists.